Planning on driving abroad in the event of a ‘no deal’ Brexit? In the event of a ‘no deal’ Brexit on 29 March 2019, UK motorists planning to drive in Europe will need a Green Card. Use our handy guide to ensure you’re well in the know. The Green Card is an internationally accepted document which proves that you have valid insurance to drive your car abroad. If there is a ‘no deal’ EU exit, it will be illegal for UK motorists to drive in Europe without it, whether travelling for business or pleasure. Do I need a Green Card if I am driving in the EU before 29 March 2019, but not returning to the UK until after 29 March 2019? Responsibility of issuing Green Cards lies with the Motor Insurers’ Bureau (MIB), who have given delegated permission to insurers. This means that, if you are planning to drive in the EU after 29 March 2019, you will need to contact your insurer or broker. If a ‘no deal’ Brexit goes ahead, the MIB and all insurers will no doubt be very busy. 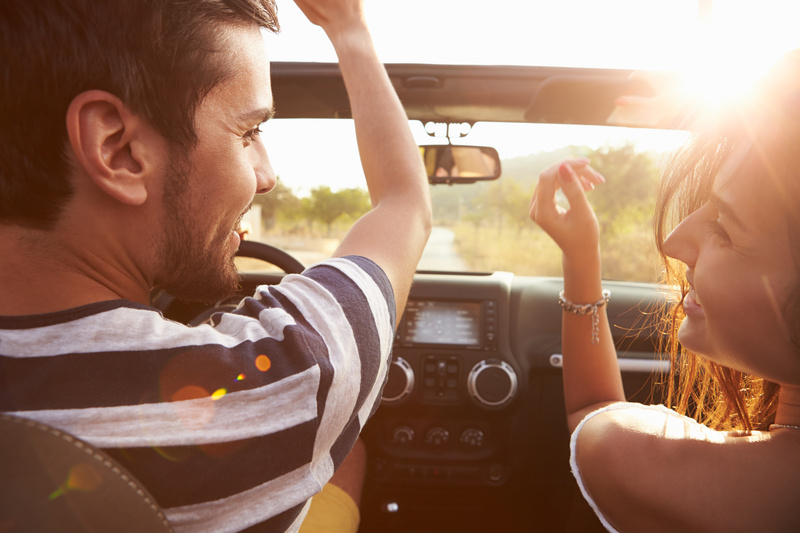 The Association of British Insurers (ABI) suggested motorists should ideally apply one month prior to travelling, so it’s worth planning ahead to avoid disappointment or disruption. In the event of a ‘no deal’ Brexit, UK motorists suffering a road traffic accident may have to make a claim with the foreign insurer directly. In uninsured and ‘hit and run’ cases, the MIB or equivalent would ordinarily pay compensation costs. However, this may not be the case and so access to compensation claims could vary from country to country. Yes, you can tow a trailer. From 28 March, you must register commercial trailers over 750kg and all trailers over 3,500kg before they can travel in Europe. If you have several trailers and vehicles, you may require more than one Green Card. To find out more, speak with your insurer or broker who will explain how many you require. Will I need a Green Card to drive in Europe? You will need a Green Card if there is a ‘no deal’ in place after the UK exits the EU. However, regardless of whether there will be a ‘no deal’, a deal has been made between UK and European insurance authorities to waive the need of a Green Card, but this has not been ratified by the European Commission. Will my driving licence be valid to drive in the EU after 29 March 2019? In the event of a ‘no deal’ situation, the Department for Transport has indicated that you may need to obtain an International Driving Permit (IDP) to drive in the EU. This would need to be shown in conjunction with your UK driving licence. The IDP is issued by the Government via Post Offices, so you will need to contact the Government for information on how to obtain one (as Insurers or Brokers cannot issue IDPs). To drive in the Republic of Ireland you should not need an IDP if you hold a UK driving licence as Ireland does not currently require IDPs to be held by driving licence holders from non-EU countries. Whether you are a haulage or courier business operating in and out of Europe or planning on a small trip to France with your family, motor insurance is likely to change. Give us a call on 01444 810 088 to find out more. This is BC’s interpretation of information obtained from the various sources stated and should only be used as a guide. BC do not accept responsibility for misinterpretation of the information provided and you should therefore seek specific advice from your insurers and government websites in order to verify your own personal circumstances. WHAT IS THE BEST WAY TO INSURE A LEARNER DRIVER? When your offspring are ready to take to the roads, you have plenty of options to keep them covered. But which is best value? Wondering if GAP insurance is right for you? On 1st March, the penalties for using a mobile while driving doubled. Now, if you are caught using your mobile while behind the wheel, you will receive six points and a £200 fine. If you've recently bought a new car and been offered GAP Insurance, you may be wondering whether it's worth buying. We explain what GAP Insurance is and why you might want it. Courts in England and Wales are now enacting tougher penalties for drivers violating the rules of the road. Instead of scouring your area looking for the cheapest petrol and diesel prices, follow these five simple steps to help you save on fuel costs year round. Will my driving licence be valid to drive in the EU? Finding cheap car insurance deals online is easy but policies are rarely what they seem. You can still keep your costs down with our money saving Top Tips. Recent government statistics suggest that half of the faults found in MOT tests can be prevented by performing simple car maintenance. Your car can quickly become a host to germs if not frequently cleaned. In fact, according to research, the average car contains more bacteria than a smartphone screen. In 2016, UK drivers submitted a claim for pothole damage every 17 minutes, which amounted to more than 31,500 claims, according to research collected by the Royal Automobile Club Foundation for Motoring. Student Driver Insurance from Bennett Christmas is an exciting new product for young drivers who have passed their test but are not yet ready to commit to a new car.